Alappuzha, previously known as Alleppey, in Kerala is surrounded by waterways and canals and is therefore also called the "Venice of the East." Alappuzha is famous for the beautiful backwaters surrounding it. 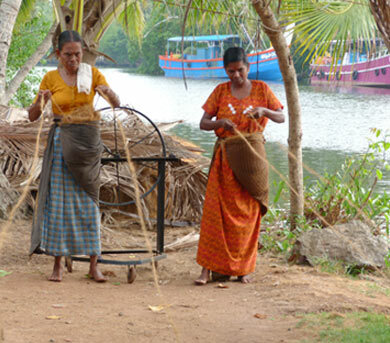 Many Kerala Backwater cruises begin or end in Alappuzha. The backwaters with water birds and flowers and greenery along their banks are a beautiful and refreshing sight. 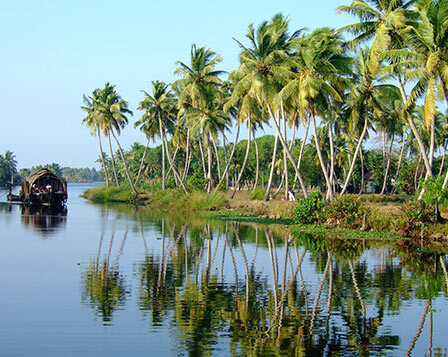 See the serene attractions of Alappuzha on Kerala tours with Pickadly Houseboats. Alappuzha is famous for the Snake Boat Races held here every year around the time of the Onam festival. 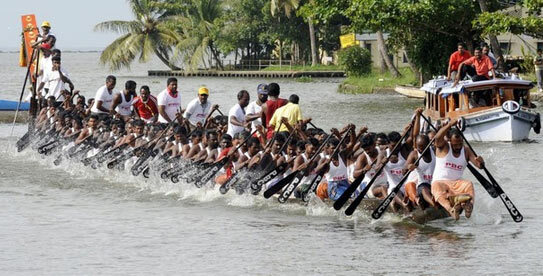 The giant snake boats called Chundanvalloms, race against each other for the prestigious Nehru Trophy. Prime Minster Jawaharlal Nehru donated the trophy after he received an unforgettable reception along the waterways of Alappuzha. Teams of rowers seated on the long Snake Boats with their curving prows battle it out for the honor of winning the Nehru Trophy. Crowds throng the edge of the waterways where the race is held. Many tourists come to Alappuzha to see this exciting event. Alappuzha wears a carnival atmosphere during the boat races held at the Punnamada Lake in Alappuzha. You can see the exhilarating snake boat races of Alappuzha on Kerala tours with Pickadly Houseboats..
Alappuzha also has a number of historic colonial buildings and a beautiful beach, with a garden alongside the beach. 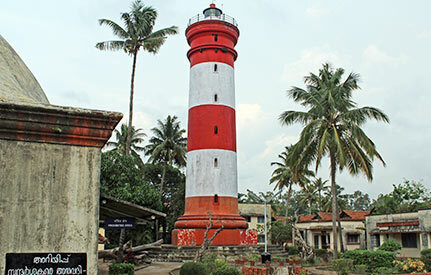 A pier, lighthouse and grove of palm trees are scenic attractions near the Alappuzha beach. Enjoy touring the attraction of Alappuzha in Kerala, India on Kerala tours with Pickadly Houseboats..